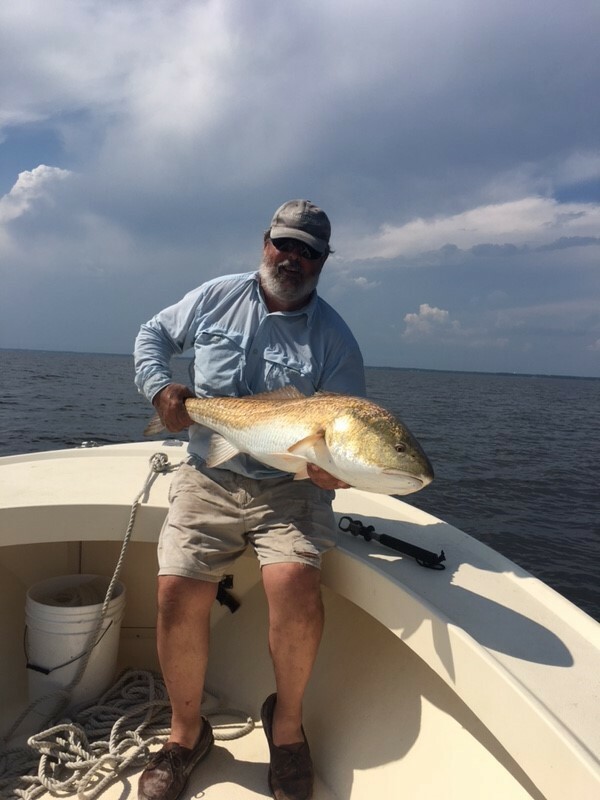 Capt Joe has been navigating these waters ever since 1985, allowing him to provide a great fishing experience for you and your crew. 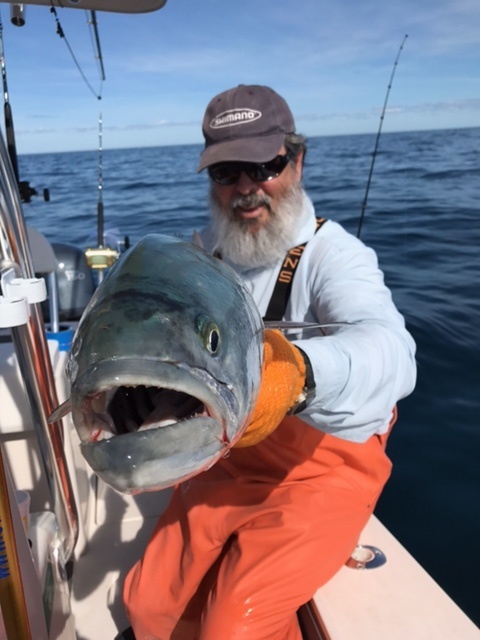 Retiring from over 21 yrs as a retail bait and tackle owner, Capt Joe continues to run his fly fishing store (since 1996), his charter boat guide service (since 1987), and manufactures offshore sportfishing lures. Check out the links we have below for more information. 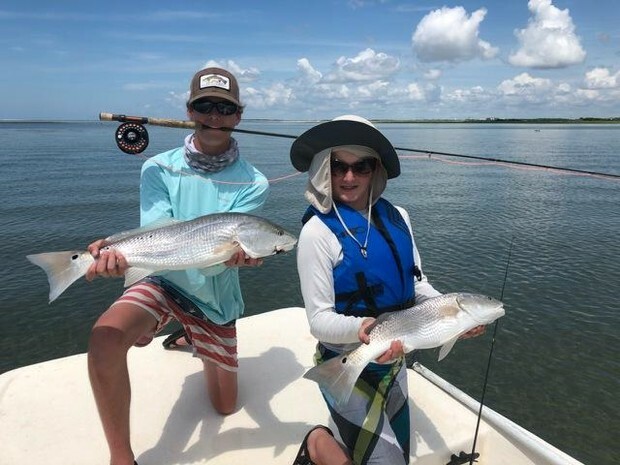 The water keeps warming up and the fishing continues to get better. The offshore fishing is especially picking up. 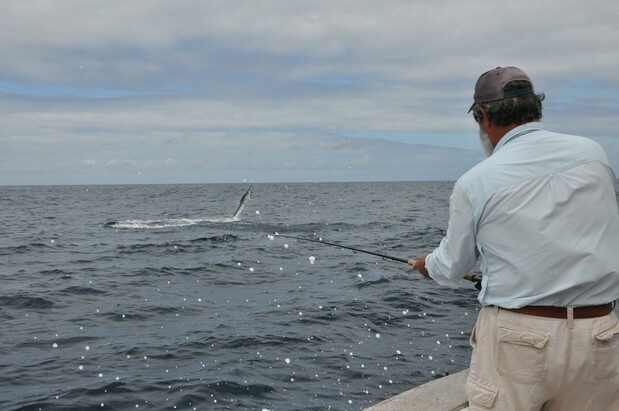 The wahoo bite is still on fire and we are now catching good numbers of yellowfin tuna along with blackfin tuna and dolphin. Along the beaches there are false albacore and bluefish showing up in pretty good numbers. Any day we should be seeing the arrival of the Hatteras size bluefish (5-12 lb). If we can just get some of this wind to dissapear things will really fire off! 5-15-18 Trip with CJ. Caught his largest cobia sight fishing today. Davew O'Connell with fat albie caught with bait ball under the boat. Yesterday was the first of 3 days fishing with Hugh Levin. Excellent fishing yesterday. Ben Scoggins caught a 8 lb albie on his first cast and this 15 lber on his second cast. Oooops! The man in the brown suit won this one! Joint effort after broken rod. One reeled one held the rod! 9-21-17 Bob Baldwin with his first old drum 47"
04-11-17 Plendy of large 10 to 15 lb bluefish around for light tackle and fly. 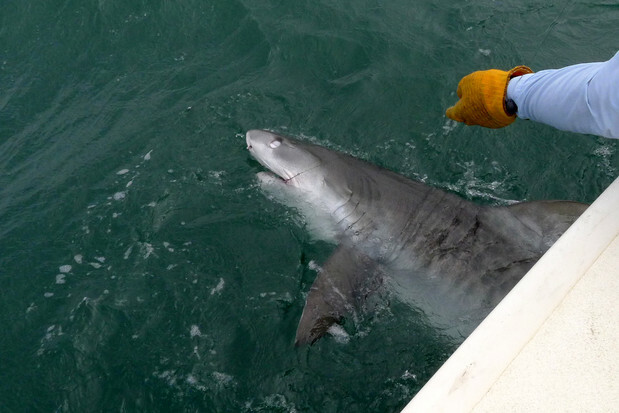 Nice Tiger shark caught by Carl Setzer Thursday at Cape Lookout!